SuPCIS-L8 is more than just a warehouse management software as you know it from most common ERP and merchandise management systems as it was designed specifically for supporting and controlling the processes in warehouse logistic systems. 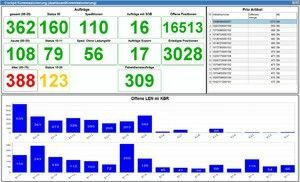 This warehouse management software is developed, implemented and operated by S & P Computersysteme GmbH based in Stuttgart (Germany). 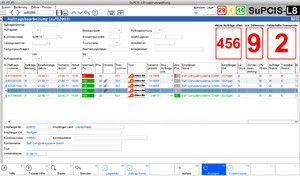 SuPCIS-L8 already offers an easy entry into IT-controlled logistics with the basics, such as goods receipt, master data management, picking, etc., but it also comes with helpful optimization functions, eg. chaotic storage, space management, route optimization, ABC analysis and FIFO. Numerous other modules and functions are available for this warehouse management software - for example, for pick + pack picking into pre-calculated shipping containers, batch management or KANBAN. In addition, the S & P development teams can rely on a huge library of proven detail solutions, from which they quickly and cost-efficiently configure individual applications. SuPCIS modules can simplify administration and speed up processes - in manual as well as automated warehouses, in existing logistis concepts as well as in newly built logistic systems. S & P software solutions take advantage of proven processes and optimize them. Have we piqued your interest? You want to know more about the warehouse management system SuPCIS-L8?